Who we are: We are Christians in business, transforming our business community by rooted relationship with God and one another. Why we are here: Our communities and the world at large need Christians that can make a difference and bring Godly change — both by what they do and how they do it. What we do: Through breakfasts, small groups, and other venues of connection, we cultivate rooted relationships that lead the way for Christians to integrate their faith and business calling more authentically. How we do it: We meet monthly to connect, encourage, and equip each other to bring transformation to our business world. Our vision: Our vision is to transform our business communities. The extent to which we are successful is measured by the stories we hear in and through the KIROS community. Biblical application: We equip each other, practicing what we have learned at home and in business. Authentic relationships: We value our time together and are involved in the lives of others. Personal growth: We encourage each other to develop a closer relationship with God and how this development applies to our walk. Integrity and reflection: We live thoughtful lives with authenticity and consistency. Accessibility: While we might not be all things for all people, we aim to connect with all levels of business professionals and traditions in the Christian community. Connect: We connect to support each other in doing business in a way that honors God and respects his people. + Solicitation — We will avoid self-promotion and approaching others merely as career or business opportunities. + Respect — We view others as image bearers of God, as people and not targets. + Networking — We encourage a growing breadth and depth of relationships. + Involvement — We commit to mutual support through active participation in the KIROS community. + Communication — We seek to be Christlike in what we say and how we say it. + Confidentiality — We hold confidential conversations as a sacred trust. Encourage: We commit to mentoring and supportive relationships. + Listening — We will seek to understand before we seek to be understood. + Conflicts — We will resolve conflicts one-on-one, or with one other person, before involving a wider group (Matthew 18:15-16). + Graciousness — We avoid careless criticism of another’s church affiliation or political views. + Engaging — We connect with others and develop supportive relationships. + Growing — We commit to inviting guests to KIROS, as one means to encourage others. Equip: We commit to growing in our understanding of what it means to be a Christian in business. + Learning — We commit to putting into practice things we learn from the speakers. + Sharing — We commit to sharing what we have learned and experienced with others. + Integrity — We commit to being whole people, acting in business as we do at home or in church. + Honesty — We commit to being people of truth and grace in all facets of our lives including business. We offer our statement of faith in two parts. For Part I, we have chosen the Nicene Creed to underscore our commitment to the traditions of the faith and our roots in that foundation. For Part II, offer our view of business as a legitimate and important calling for Christians. We do not view parts I and II as separate or ordered, but rather as parts of a whole as we seek to live as whole people with no sacred/secular divide. We believe in one God, the Father, the Almighty, maker of heaven and earth, of all that is, seen and unseen. We believe in one Lord, Jesus Christ, the only son of God, eternally begotten of the Father, God from God, Light from Light, true God from true God, begotten, not made, of one being with the Father. Through him all things were made. For us and for our salvation he came down from heaven: by the power of the Holy Spirit he became incarnate from the Virgin Mary, and was made man. For our sake he was crucified under Pontius Pilate; he suffered death and was buried. On the third day he rose again in accordance with the Scriptures; he ascended into heaven and is seated at the right hand of the Father. He will come again in glory to judge the living and the dead, and his kingdom will have no end. We believe in the Holy Spirit, the Lord, the giver of life, who proceeds from the Father [and the Son]. With the Father and the Son he is worshipped and glorified. He has spoken through the Prophets. We believe in one holy catholic and apostolic Church. We acknowledge one baptism for the forgiveness of sins. We look for the resurrection of the dead, and the life of the world to come. Part II: What does it mean to be a Christian in business? A calling to business is as valid as a calling to medicine, education, missions, church leadership, or any other work. We seek to grow in our understanding of the wholeness of our lives (faith, family, business, worship, community) and to share this with others. In April 2001, Jeff Rogers gathered a group of small business owners, primarily in the tech sector, to talk about the struggles of running their businesses in a challenging economy. One of the questions was: “Why doesn’t the Christian community help each other in business?” The answer was, “They don’t know each other.” This led to the idea of Christian business people meeting together around this common commitment.In September, he had lunch with four men in their late 20s and early 30s, to talk about starting a business organization. They said they wanted somewhere to meet experienced business leaders who could mentor them. In October, Jeff invited 14 other men and women to lunch and asked them about starting the organization. Although all were Christians in business, some had done business together without knowing about the other’s faith. Then an interesting thing happened: of the 14, ten said, “I’ve been praying specifically about this!” The others agreed it needed to be done. It was unanimous. Word spread, and by December, the organizing group had grown to more than 90 men and women, and core teams for marketing, finance, and operations were formed. Then a board of directors was formed, bylaws were confirmed, and an initial statement of faith was established. The organization was registered as a 501(c) (3) corporation in the State of Washington. The organization was named “KIROS,” an English representation for the Greek word “Kairos,” meaning “the right, appropriate, or opportune time and/or place.” God seemed to be saying to the initial group that this was the right time to bring business people together for His Kingdom. They soon discovered that they were a part of a much larger “faith and work” movement across the US and around the world, truly the work of God. In March, 2002, the first public meeting was held at the Red Lion Hotel in Bellevue, with some 130 people in attendance in spite of a freak snowstorm that halted traffic in the city—the only snowy day in 2002! Steve Bell, CEO of Pacific Crest Industries [Washington State’s “Small Business Owner of the Year” in 2005, now Bellmont Cabinet Company], was the inaugural speaker. In 2006, a chapter of KIROS was added in Seattle. This group has met in downtown locations and at Seattle Pacific University. In 2009, a chapter was added in Tacoma. For two years, an East Sound Chapter met in Silverdale. 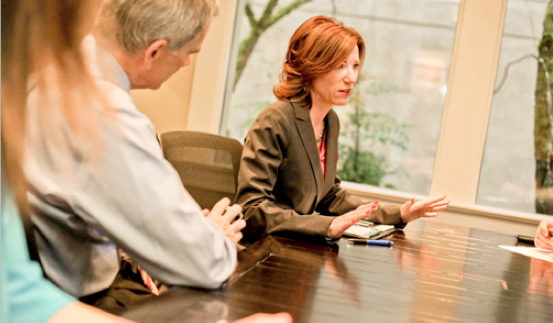 From the beginning, KIROS welcomed men and women from various roles and types of business. The purpose of KIROS has sharpened over the years. 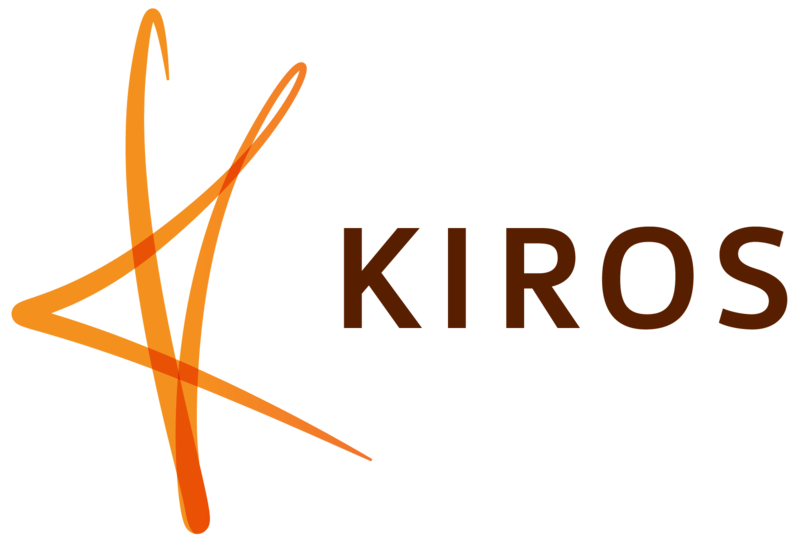 KIROS began primarily as a connecting group (building relationships amongst the faith-based business community), Transitions was added in 2004 to encourage and enable those who were unemployed during the downturn, and continues to be offered following the breakfast meetings in Bellevue. A code of conduct was created to encourage relationships to develop before pursuing opportunity. Gradually KIROS migrated to an emphasis on preparing Christians in business to have a positive impact for the Kingdom of God through their work. The statement of faith was changed to include two elements: The Nicene Creed was selected for the essentials of faith, its broad acceptance by the Christian community, and its deep historical roots; and a statement about God’s purpose for business, affirming the call of God for many in business. Over the years, carefully selected speakers from many levels in business have shared their call to business and the insights God has given them through the Scripture and their experiences. KIROS is led by an all-volunteer board of directors, including the chapter directors for each location. Each chapter is seeking to build community within its geographic area. The monthly meetings in each location are run by volunteers on a “break even” basis. In 2011, as the ten year anniversary approached, two board members led a strategy team which surveyed Christians in business, including those who regularly attended KIROS and some who did not, to identify needs. After analysis of the results and discussions through the board, the strategic focus for KIROS became: support individual growth in what it means to be called to business, establish a supportive community to work this out in practice, and take this back to the workplace and represent the Kingdom of God there. It represents the working out of Colossians 2:6-7: “So then, just as you received Christ Jesus as Lord, continue to live your lives in him, rooted and built up in him, strengthened in the faith as you were taught, and overflowing with thankfulness.” From that “rooted” position, in Christ and in community, we can participate in the transformation of the business community in the Puget Sound area. To support this strategy, a new website was created to facilitate both communications and community.